Properties in Mount Maunganui average 4.6 out of 5 stars. Home Tide: the right place, the perfect time. Property 27: Home Tide: the right place, the perfect time. 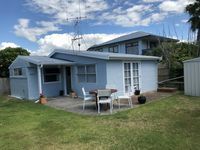 Large Family Home, walking distance to beach. Property 33: Large Family Home, walking distance to beach. 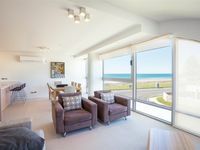 Property 41: Stunning ocean-front penthouse apartment. Everything you could need was provided. Spacious and relaxing. I didn't want to leave! Beautiful and comfortable apartment. Great location to the shops, cafes and the beach. Lovely owner to accommodate our stay! Highly recommended for a holiday home.